ISRAEL THREATENS ARAB STATES WITH NEUTRON BOMB!! ANNIHILATING WAR BECKONS!- Christian Updates - New World Order. ISRAEL THREATENS ARAB STATES WITH NEUTRON BOMB!! ANNIHILATING WAR BECKONS! God's judgment against the House of Esau [Palestinians] may be ready to explode, as well as His judgments against Syria, Jordan, Egypt! If this is true, Antichrist may be next! NEWS BRIEF: "If Iraq Launches Biological Or Chemical Weapons, Israel Will Deploy Nuclear Arsenal", by Avrohom Lewin, The Jewish Press, Vol, XLVII, No. 47, Week of November 21 to November 27, 1997, Lead Page/Back Page. 1) President Carter, by Executive Order in 1978, ordered that all research into the Neutron Bomb was to be suspended. Carter explained that this weapon was so horrific that he was going to stop American development of it. To my knowledge, this is the last time we have heard of the Neutron Bomb from official channels. The public has just not been too aware of it since then. What is the Neutron Bomb? It is an extremely effective, though radical, atomic weapon. Rather than killing by bomb blast, heat greater than the surface of the Sun, and radiation, the neutron bomb kills by irradiating the area of detonation with untold trillions of neutrons that kill all humans and animals, but leave all buildings and vehicles intact. This bomb also releases very little radiation, so the area formerly inhabited by living people can be immediately occupied by the armed forces of the country which set off the neutron bomb. Thus, with the neutron bomb, untold numbers of people could be instantly killed without damaging any structures or vehicles, and leaving the land "cleared" open for immediate occupancy by the victors. Obadiah 15 refers to the End of the Age, and its prophecy is aimed at "Edom", one the provinces of the Arab's House of Esau, today known as the Palestinians. This is the first instance where God foretold that His punishment for Edom [Palestinians] would be complete, 100% annihilation. In other words, God is going to destroy every man, woman, and child in the Palestinian population! This verse tells us that, once Israel's most implacable foe, the Palestinians, have been totally eliminated, then Israel will " possess its own former possessions". To what is God referring here? When God promised the land to Abraham for an "everlasting" possession, He gave him a land that is considerably larger than present Israel. All of Lebanon, two-thirds of Jordan, and Syria up to a point just south of Damascus, represent the full nation of Israel. In Ezekiel 36:28 we see God's promise to a restore Latter Day Israel. "And you shall dwell in the land that I gave to your fathers; and you shall be my people, and I will be your God." Therefore, when God gives Israel this annihilating victory, He has further promised them that they would possess the full amount of territory, described above. But, now let us return to Obadiah, because the next verse gives us the full understanding. This kind of destruction is annihilation. 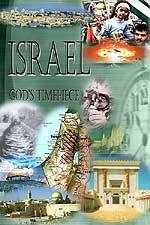 God is going to destroy the Palestinian people so thoroughly that there will be no trace left of this former people! Why is God going to be so destructive of the Palestinians? The answer is in Joel 3:2 and 7. God is going to deliver judgment upon all the nations, beginning with the Arabs, for their treatment of the Jews for the past 3,000 years. Certainly, we can empathize with the Jews, outnumbered 6 million to 250 million, trying to survive, trying to eke out a living amidst such turmoil, fear, and violence. We can certainly feel the pain when an Arab terrorist kills innocent men, women, and children in a terrorist attack. Since the Arabs' best cannot defeat Israel's best on the battlefield, as men, they resort to killing innocent men, women, and children. Payback time is coming, and it will be at the hand of Almighty God. Israel's military may pull the trigger, but Vengeance belongs to God. 1) The key to this weapon is fire. Since the neutron bomb is a nuclear device, it will likely burn as fire at the epicenter; however, its killing force will be untold trillions of bombarding neutrons. 2) This weapons wipes out 100% of the men, women, and children of the Palestinians without rendering the land on which they were living uninhabitable. Why do we say this? Because, in the next 2 verses, verses 19-20, the Jews immediately take possession of the lands occupied by the Palestinians. If traditional nuclear weapons were used, there would be enough radiation left in the land that Israel could not immediately occupy the land. 3) This weapon kills massively, quickly. The destruction will be so massive, and occur so quickly, that no one will be able to escape. Furthermore, I believe that I see in this verse that the origin of the military action is within the houses of Jacob and Joseph. In other words, I believe I may see a preemptive military strike by Israel. For over a year now, we have been chronicling the unprecedented military buildup by the Arabs against Israel. We have quoted many sources, telling you that the collective Arab leadership of the Palestinians, Syria, Iraq, Iran, Jordan, and Egypt now feel that Israel is politically more vulnerable than she has ever been. Since they have been buying modern weapons from the West this time, instead of only from the Soviet Union, they are full of confidence that, this time, they can defeat Israel. This entire Oslo Accord has been an attempt by the Arabs to seize as much of Israel as possible, diplomatically, and then to weaken Israel's resolve politically, and the resolve of her military soldiers, by fostering open division between the Left and the Right in Israel. The Arabs also believe they have countered Israel's weapon of mass destruction, i.e., nuclear bomb and/or neutron bomb, by their own weapons of mass destruction -- nuclear warheads, biological, and chemical weapons. These Arab leaders have examined the population of Israel versus their own collective populations. What they see is that they have 250 million Arabs while the Jews in Israel number only 6 million! Therefore, these Arab leaders have concluded that, if they have their clerics declare a Holy War -- Jihad -- against Israel, then they can effectively attack Israel with their weapons of mass destruction. So what if they lose 125 million people? If they can destroy Israel completely with their own weapons of mass destruction, they will be heroes to the Arabs still living. Within a few generations, the Arabs can build back the terrible losses they have suffered. This is the Draconian thinking of the current Arab leaders of the Palestinians, Syria, Iraq, Iran, Jordan, and Egypt. Now maybe you can understand why Yassir Arafat has built a command bunker of cement some 30 feet underground! Do you know that Damascus is the oldest continuously occupied city in the world? Since she was established, there has never been a time when she has ceased being a city. And, she has never been a heap of ruins. Of course, in the Ancient times, whenever a capital was sacked and destroyed, that action was synonymous with the destruction of the nation. Syria will be so destroyed that her government will fall. 2) Jordan is composed of three provinces, two of which have God's judgments pronounced upon them: Edom and Moab [Isaiah 15 and 16]. These two provinces today are home to the Palestinians, who are going to be destroyed by the judgment in Obadiah, as described above. When Edom and Moab have been destroyed, the King Hussein of Jordan will fall. 3) Egypt -- Egypt has a judgment pronounced upon her in Isaiah 19. Further, we cannot help but notice that, when Russia leads the invasion of Israel in Ezekiel 38-39, in the Latter Days, God's thorough listing of the Arab nations that will be marching with Russia does not include Egypt. This is very odd, since the armies of Libya and Ethiopia, which are prophesied to be attacking Israel from the South, must pass right through Egypt to get to Israel. Yet, Egypt is not mentioned, leading us to conclude that Egypt must have been destroyed by the time of the Russian led invasion. For that matter, Syria, Iraq, and Jordan aren't mentioned, either. 4) Iraq -- Isaiah 13:4-22 contains a latter day judgment against Babylon (Iraq). We thought that, perhaps, the 1991 Gulf War might have been the fulfillment of this prophecy, but evidently it was not, since the government did not fall, and the pressure against Israel was not eliminated. Thus, each of the nations now lining up against Israel are facing God's Latter Day judgments that were pronounced upon them 2,500 years ago! It is a tribute to the Omnipotency of Almighty God that events today are occurring that will fulfill these prophecies to the letter. Truly, this is an exciting time in which to be alive, for those of us who are Fundamental, Bible believing Christians. Every day, with each passing event, God is giving us more reason to believe in Him, and more reasons to realize that the End of the Age is nearly upon us. 1) The United States is likely to give military assistance to Israel. I believe that this current "crisis" with Iraq may have just been a smoke screen to allow President Clinton to pre-position significant American Naval and Air Force firepower in this region. After all, Americans have given huge support to Israel since 1948, in almost every one of her wars of survival. Not only that, but we gave Israel the nuclear and the neutron bombs she now possesses. Finally, the New World Order Plan, of which America is the leader, does envision this final war, which their writings call the Third World War. And, they envision Israel being so victorious that the Dome of the Rock is destroyed, and the Arabs are swept away [Peter Lemesurier, "The Armageddon Script"]. 2) Immediately after the beginning of hostilities, all Arab oil producing states will announce another oil embargo. This embargo, however, is planned to be so tight that no Arab state will cheat on it as occurred in 1973-74. Some financial experts believe that another oil embargo could be the conclusive blow that knocks the final props out from under the economies of all the Western world. If our economies plunge into a free fall, then the destruction of these individual economies could result in the birth of the Global Economy of the New World Order. We shall just have to wait to see how events do occur, knowing that God is firmly on His throne and has promised to never allow Israel to be defeated once she returns to her land. 4) Peter Lemesurier, in his " The Armageddon Script", also notes that a planned war on the Korean Peninsula is part of this scenario. This war, he says, will scare the peoples of the world to death, and will be instrumental in bringing about the New World Order. Today, we hear that North and South Korea have agreed to begin meeting in December, 1997, to conduct talks on peaceful reunification. We certainly hope and pray that these negotiations succeed; but, if they are planned to suddenly break apart, with the North Koreans attacking, and either using or threatening to use, nuclear weapons, we must be prepared by understanding that this, too, is part of the Plan to successfully stage Antichrist. As terrible as these events are, by themselves, an even more terrible event is supposed to come out of this planned war between Israel and her Arab neighbors. We see that the Plan calls for Antichrist to come striding out of the smoke, dust, and destruction of this Third World War. As Lemesurier states, Antichrist will appear East of Jerusalem, riding on a donkey to "fulfill" the Messianic prophecy of Zechariah 9:9. Then, Antichrist will proceed to "fulfill" all of the Old Testament prophecies concerning Messiah, so as to deceive the Orthodox Jews into declaring him to be their Messiah, for whom they have been long awaiting. From the side of the Occult, we see that three (3) world wars were planned to bring about the New World Order. This occult plan was given to Albert Pike, leader of North American Freemasonry, in 1870 [See NEWS1015 for full details]. Since the first two (2) world wars have occurred just as the demonic vision foretold, we must assume that the final world war will occur just as the vision stated. This Third World War was to be between Israel and the Arabs, and out of this war will come striding Antichrist! This war will be the final, and the most exciting, time of witnessing to Unsaved Loved Ones, and to friends and coworkers. I do not know whether the Rapture will occur before or after the appearance of Antichrist. The Bible is really unclear on this point, but the demonic Guiding Spirits of key New World Order leaders have been telling their human hosts for 10 years now that the snatching away of tens of millions of people simultaneously from the Earth will occur immediately after Antichrist arises. If we are going to experience the occult power inherent in the appearance of Antichrist, this means two things: 1) We must be spiritually pure in the blood of Jesus Christ, with hearts pure and cleansed, so we do not get deceived, along with the rest of the world; 2) We will be given a few precious extra days in which to witness to people within our Sphere of Influence! Watch the Middle East generally, and Israel particularly. Events there seem to portend the final devastating war that will produce Antichrist. Are you spiritually ready? Is your family? Are you adequately protecting your loved ones? This is the reason for this ministry, to enable you to first understand the peril facing you, and then help you develop strategies to warn and protect your loved ones. Once you have been thoroughly trained, you can also use your knowledge as a means to open the door of discussion with an unsaved person. I have been able to use it many times, and have seen people come to Jesus Christ as a result. These perilous times are also a time when we can reach many souls for Jesus Christ, making an eternal difference.